This month we have included in our selection the latest mystery novels from many very popular much acclaimed writers. These include Jo Nesbo, Donna Leon and Arnaldur Indriðason. There are also debut authors, who show much promise for continuing their main characters’ development in future mysteries. Macbeth / Jo Nesbo ; translated from the Norwegian by Don Bartlett. Queen Anne’s lace / Susan Wittig Albert. The temptation of forgiveness / Donna Leon. The shadow killer / Arnaldur Indriðason ; translated from the Icelandic by Victoria Cribb. The killing site : a Liberty Lane mystery / Caro Peacock. Fakes and lies : a Naomi Blake novel / Jane A. Adams. 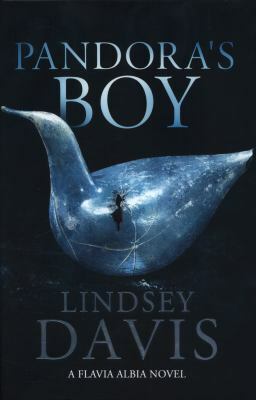 Pandora’s boy / Lindsey Davis. The smiling man / Joseph Knox. Whiteout / Ragnar Jónasson ; translated by Quentin Bates. A dangerous crossing / Ausma Zehanat Khan.